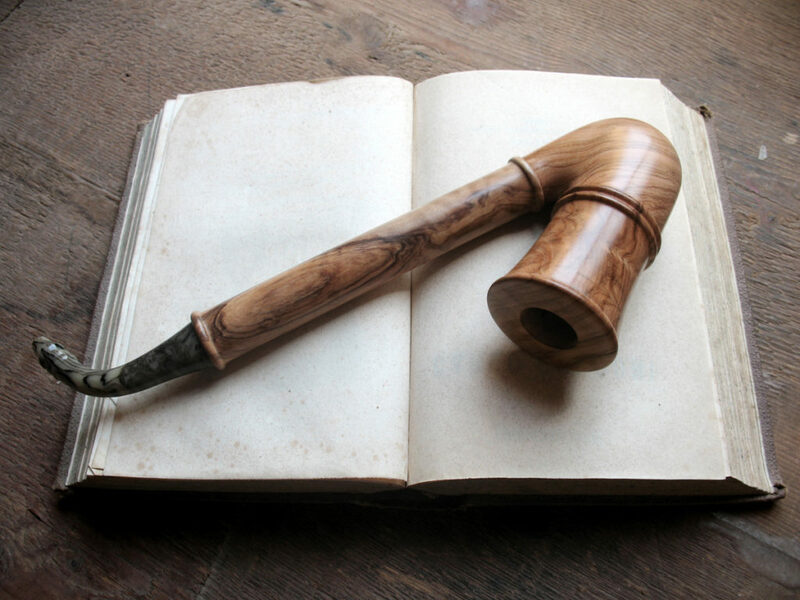 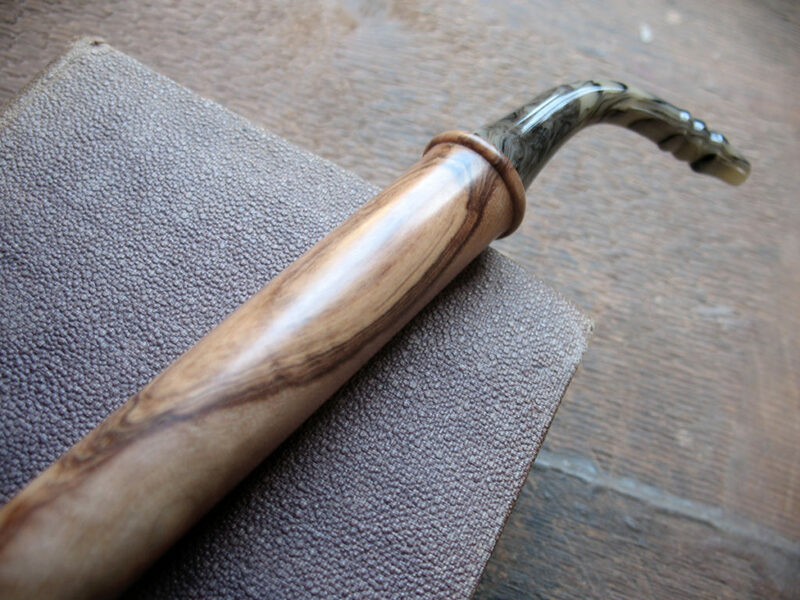 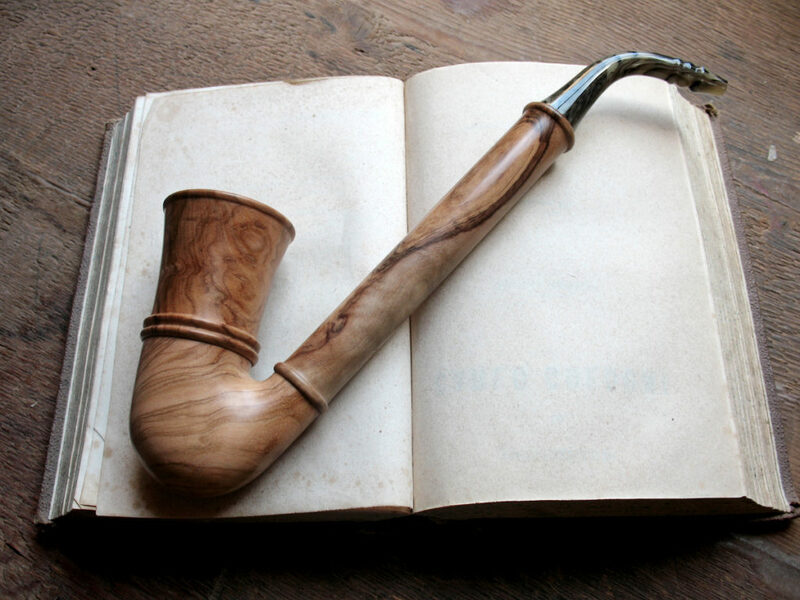 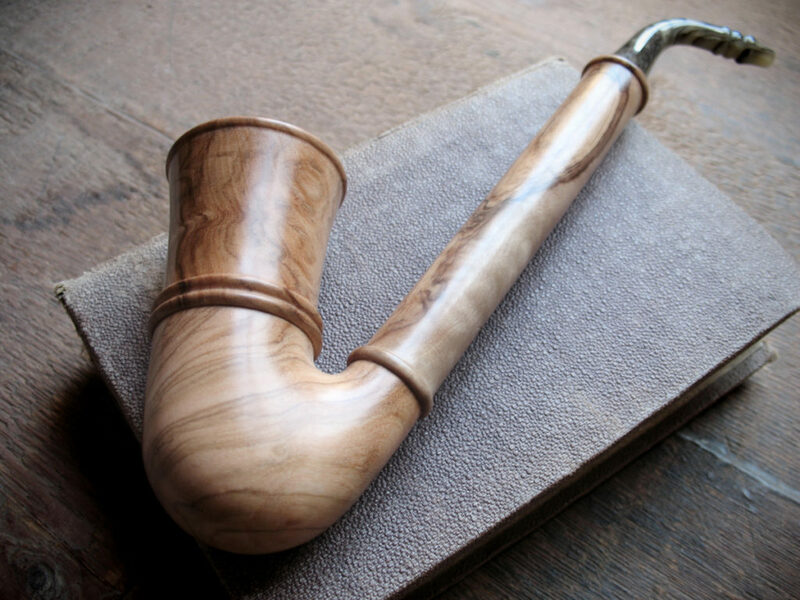 Dismountable into four pieces, this pipe is entirely made of apulian olive wood, air-dried for over 15 years; the pieces ave been selected for the beautiful veins. 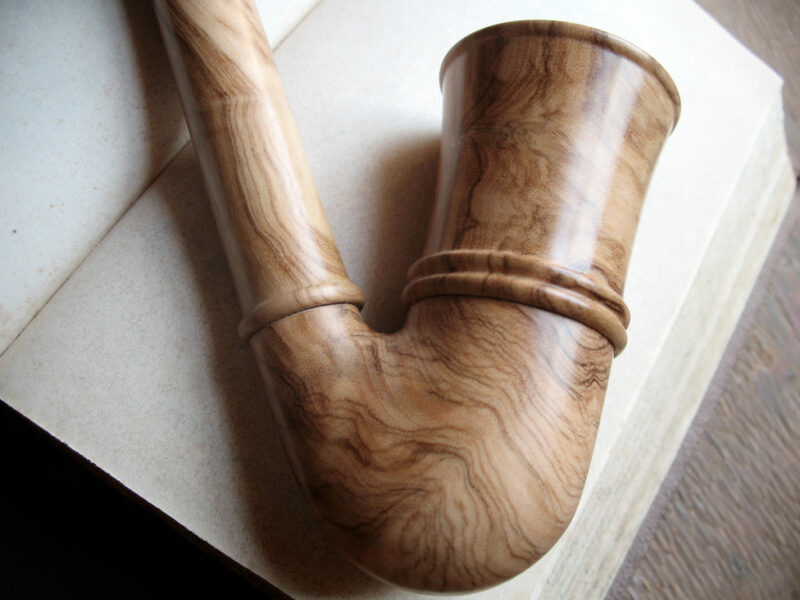 Due to the Intricate and contorted form of the apulian olive tree, is very difficult to obtain usable pieces, and the waste is high because there are cracks, knots and empty spaces. 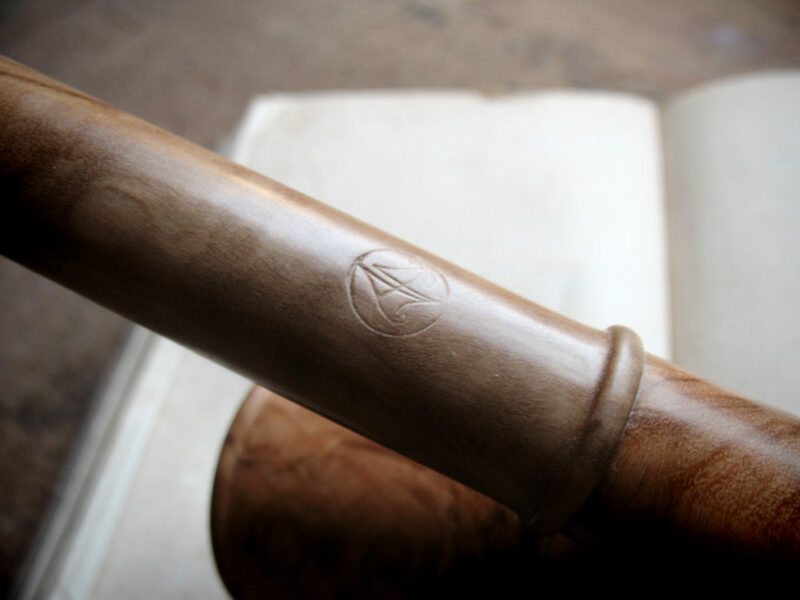 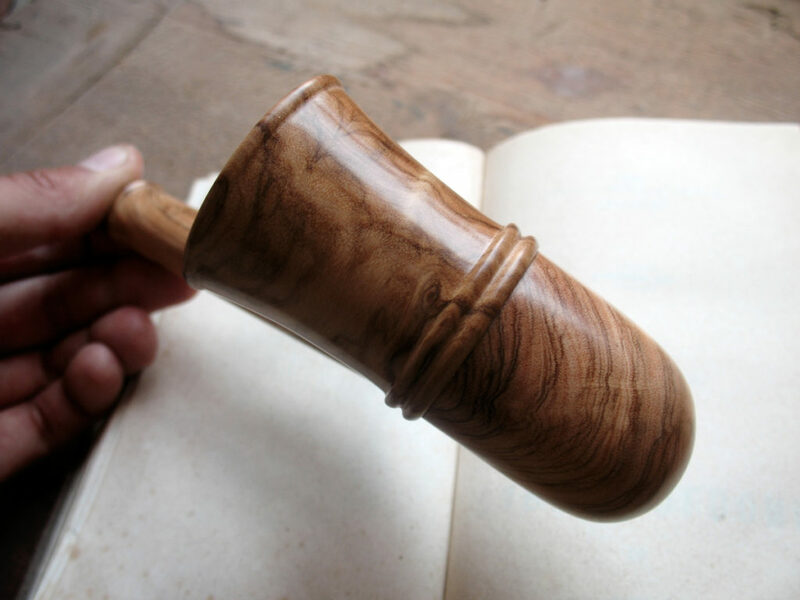 For this reason the artifact is particularly valuable.